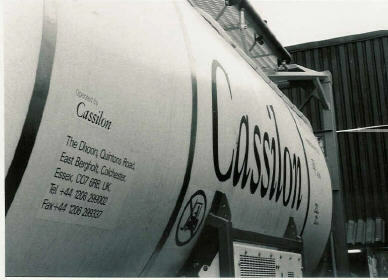 Cassilon - Operator of Tank Containers. 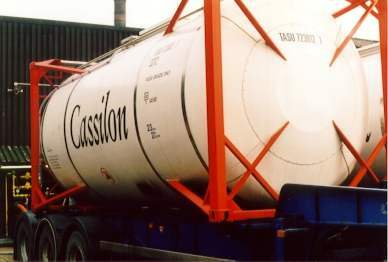 Cassilon transports bulk liquid, on ships, in trucks, by rail and even when the occasion demands it by air. We are tank container operators. Cassilon will answer your needs, whatever your product, and however complex your supply chain. We have the technical expertise with both equipment and global transport systems to design and implement solutions for bulk liquid distribution. 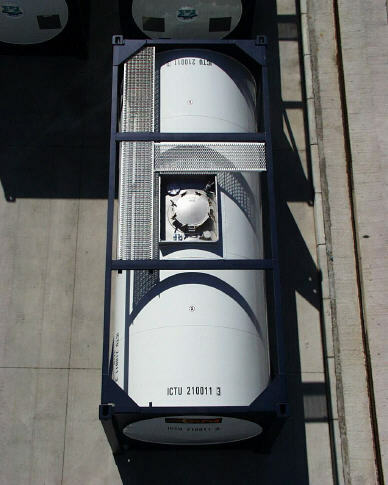 Using appropriate technology we design systems that provide the solution to a smooth liquid flow, including both equipment and logistical services. Each client benefits from our responsive and flexible service, with custom written reporting available to track units and seamless integration of our personnel into the supply chain management group. Based in the United Kingdom we have colleagues and associates worldwide. To organise and effect the movement globally of bulk liquid, working in the media of the tank container and international shipping industries. To achieve and control personalised, quality and cost effective services for our clients. 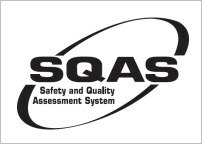 To continue to develop technical and professional excellence for the benefit of our stakeholders and clients.